I talked a lot about RSS over on another page, but now we can get into the basics of promoting that feed. When you run a CMS like WordPress, you generally get an RSS feed automatically that will allow subscribers to view your latest updates at all times as long as they’re subscribed to it via bookmark or email. But, now you can do so much more with it! 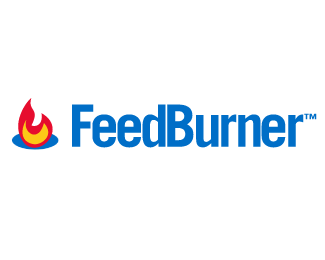 Feedburner is my choice for web feed management. Since I use Google for all of my online services, it just made sense to use their Feedburner service for my RSS feeds. Google bought the service in 2007 and has since made existing “pro” services free to all users. Using a feed management service is a great way to monitor your RSS activity. If you didn’t use one, you may never know who’s subscribing and how they’re using it. And as I’ve been teaching you, knowing as much information about your users as possible is a key to the success (or failure) of your website. Track subscribers – If you notice at the top right of most of my site’s pages, you’ll see a little orange box that tells you how many readers are currently subscribed to my feed. This number changes constantly, but it gives me a basic snapshot of how many people are reading my site consistently. Analyze subscribers – I didn’t get a chance to use Feedburner before Google took over, so I don’t know if this feature is new, but it allows you to see what feed readers and aggregators your subscribers are using. This can help you optimize your content for specific readers. Google AdSense – One of the major concerns webmasters have about RSS is that visitors can read the site content without seeing ads. Since ads provide your site’s revenue, this is the equivalent of using a DVR to watch tv. However, with Feedburner, you can insert your AdSense ads right into your feed content so your visitors can still click on them. Track traffic – You can also use Feedburner to see what’s being clicked on. Think of this exactly like stats for your website and again, this can help you optimize your site for your RSS readers. Optimize and Socialize – Using the optimizing tools allows you to better optimize your feed content to increase browser compatibility and make it more user-friendly. To help promote your blog, you can add a Twitter account and allow Feedburner to automatically post tweets about your latest updates. There are plenty of other tools you can use to get the most out of your Feedburner account including HTML exporting of RSS content, merging Flickr into your RSS, etc. You can already tell that I’m a fan of Feedburner, but it just makes sense. If you already use Google for your other web services (and you should be if you’re not! ), you can’t go wrong with Feedburner.